A native of Towson, Maryland, he completed his undergraduate work at the University of California, Irvine, California, and received his medical doctorate from the University of Southern California, Los Angeles, California. 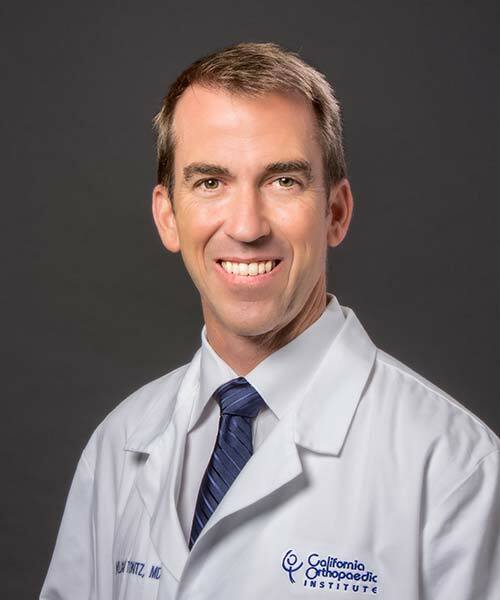 Dr. Tontz completed his internship at the University of California, San Diego, California, and also his Orthopaedic Surgery residency at the University of California, San Diego, California. His post graduate training included a fellowship in Spinal Surgery at the University of Wisconsin, Madison, Wisconsin. Post fellowship positions included private practice with Coastal Orthopaedics & Sports Medicine in Bradenton, Florida, and a surgeon for San Diego Orthopaedic Associates Medical Group in San Diego. He joined California Orthopaedic Institute in 2012.